This week Creative NZ announces new Totara and Kahikatea contracts while Kauri dieback hits the road; hardworking theatre creatives get a Barbarian rescue-pack; Kāpiti coast enters the fraught world of public art politics; and tons more in Mark Amery’s ninth Lowdown: news and forecasts from across the arts in Aotearoa New Zealand. Among New Zealand’s arts organisations there are a couple of trees you’d like to be: Kahikatea and Totara. These are the names Creative New Zealand gives to long term investment programmes providing security to organisations who have proven important to the wider forest ecosystem. CNZ have just announced some new Kahikatea and renewed the contracts of a few fledgling Totara – this handy spreadsheet gives you all the details. New Kahikatea are the Pacifica Mamas (great Pacifica Arts Centre website here), the Performing Arts Network of NZ, who organise an annual arts market for the buying and selling of performing arts into venues, the Waikato regional Orchestras Central, and theatre company Nightsong Productions. Creative New Zealand have also announced this week that they are about to undertake a survey "to benchmark the paybands, job sizes, and policies among key roles within arts sector organisations”. The work is be carried out by advisors Strategic Pay. Auckland based Nightsong, led by Carl Bland and Ben Crowder, has created an impressive series of original works over 8 years: Te Pō, 360, Head, and last year’s Spirit House. The writing of their latest play Mr Red Light is being assisted by Bland receiving a 2018 Grimshaw Sargeson writing fellowship. When these trees fall – when organisations leave the investment programmes - is not noted. Certainly the reporting regime for them is known to be full-on. Will these programmes continue to grow? Once a totara always a totara? Or is dieback disease a possibility? That’s a dodgy segue to noting that on July 4 performance artist Mark Harvey conducted a two hour endurance performance, dragging a two metre log of paper (leftover log above) along the roads of the Waitakere Ranges. 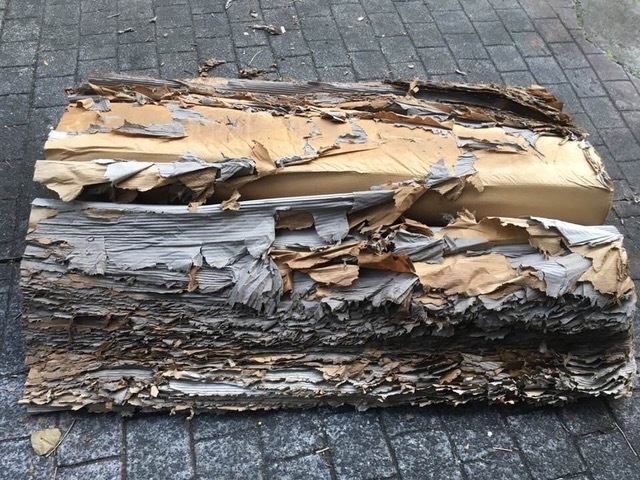 Posting on Facebook Harvey said he was “thinking about kauri, colonisation, labour and kauri dieback (used non-toxic cardboard made and grown in Aotearoa)”. Concern about Kauri Dieback continues and a leading advocate over the last five years has been arts organisation The Kauri Project who see art as a language for raising awareness and promoting understanding” on the disease. Their latest project is exhibition Āta Haere I Te Wao / A Walk In The Park at Nathan Homestead Gallery and the Auckland Botanic Gardens in Manurewa until 4 August. Also on kauri dieback, The Forest of Tiriwa is a short documentary by The Big Idea’s very own James Littlewood, going up on RNZ’s The Wireless later this month, as part of the Wireless Docs initiative. More also on last week’s korero on artists and pay. Wellington’s Barbarian Productions (who became a Kahikatea in 2016) are taking a lead in offering the living wage. Their new mentoring programme for emerging artists Barbarian Uprising, partnering with arts centre Toi Poneke, not only pays the mentors, it offers mentees a $21 per hour living wage - a real step up from the common variety voluntary internship. I’d love to hear from you if you know of other organisations in NZ doing this or better. Barbarian have also issued an online survey to performing artists in Wellington to understand the reality of their wages and the viability of the living wage – brilliant idea, go here. Looking forward to sharing the results. More “we want it, we don’t want it” public art news. Kāpiti Coast District Council has overridden the advice of its public art panel to purchase a Will Clijsen ‘Kiwiriders’ sculpture of two children riding on the back of a Kiwi (how shall we put it: social realism meets Paul Dibble-esque abstraction?) The panel thought it was "muddled and ambiguous”. Before too much is made of this, the reality is that our major cities are full of public sculptures (in Wellington, Weta Workshops step on up) that their public art panels didn’t like but their mayors agreed to. Public Art Panels are advisory bodies, not decision-makers. That tension is a healthy one. That said – speaking as a local resident – a fresh public art vision in Kāpti would be welcomed! 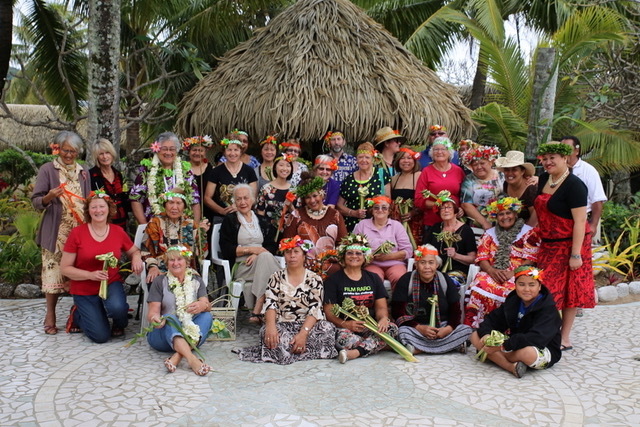 An out of the box international undertaking has been announced: a project for the Cascablanca International Biennale in October brings together curator Ema Tavola with artists Margaret Aull, Leilani Kake, Julia Mage'au Gray, Kolokesa Māhina-Tuai and Vaimaila Urale. They join a host of artists from France, Belgium and related territories, and it’s the first contemporary NZ project I can recall in Morrocco. Tavola introduces the project on her Pimpiknows blog here. An excellent critic, also on the site Tavola recently wrote on Wantok an exhibition of nine Melanesian women artists at Māngere Arts Centre. This review was originally published in the rather wonderful online Fijian arts magazine Artalk – you can read issue #12 here. Everybody Cool Lives Here and Jacob Dombroski’s Big J Styles got rave social media word in Auckland last week (it originally premiered at the NZ Fringe). Sam Brooks interviews Director Rose Kirkup about their company’s work at The Spinoff and excerpts from the work are on youtube. Sam also wrote a great think piece on the personal politics of representation last week, right here on TBI. Shows in Lower Hutt don’t get that many reviews in legendary American art magazine Artforum but well deserved is this good pick of Shannon Te Ao’s awesome my life is a tunnel at Dowse Art Museum. The exhibition had a more lengthy consideration by Matariki Williams at Pantograph Punch. Meanwhile the Dowse are crowdfunding for more storage space for their important and burgeoning jewellery collection on Boosted, with the Dowse Foundation matching each donation. It’s worth noting that these institutions are largely reliant on their local council’s support so private patronage is massively important. That campaign is being fronted by Dowse Director Courtney Johnston who also wrote recently on her Best of 3 blog sharing her concern amongst others at proposals from the Victoria University of Wellington to absorb Art History into a new department, reduce lecturer numbers and cut a dedicated administrator position. While submissions are now over you can learn more at this website set up to support Victoria’s Art History department. Want more of the Lowdown? Check out Mark Amery's past Arts Lowdowns here and subscribe here to our weekly bulletin so it comes straight to your inbox.